The Apple iPhone is primed for 4G, with myriad sources confirming the handset has been tested on the speedy network. 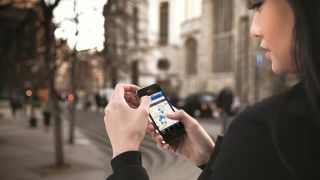 Earlier this week the CEO of EE (formally Everything Everywhere and now an umbrella brand for T-Mobile and Orange) all-but confirmed that the iPhone 5 will come with 4G connectivity. Now sources close to the matter have spoken to the Guardian, confirming that the handset has been tested on the 4G signal and it will indeed be in the first batch of 4G-ready phones, alongside the Samsung Galaxy S3 LTE, Nokia Lumia 920 and the Huawei Ascend P1 LTE. According to the unnamed source as well, an Apple device is on the GSMA 'master list' for 4G, which is where devices have to be registered so that they can be tested on the 1800 frequency – the UK version of 4G. If this indeed the case – and the likelihood of it being so is very high – then EE will have a major advantage with the iPhone, given that Vodafone and O2 are on hold with their own 4G networks. Saying that, pricing for 4G has yet to be announced – and couple this with what will be an expensive handset from Apple and what you may have is a price plan that will bring tears to you and your bank manager's eyes.